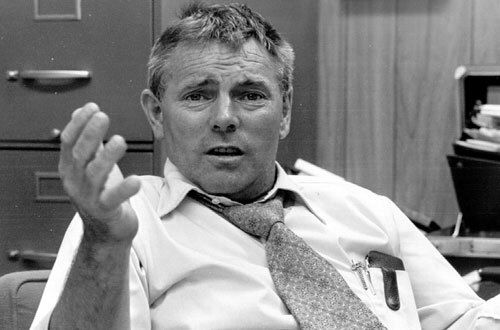 John Penton, founder of the eponymous American offroad brand, played a vital role in the history of KTM. In consequence of his initiative, KTM began with the series production of competitive offroad motorcycles. In the 1950s, KTM started its commitment in offroad and street racing activities. Right from the beginning company founder Hans Trunkenpolz and his son Erich live and breathe for motorsport. Therefore, it was hardly surprising that the first offroad successes were achieved at local races and later even on international level, although there was no series production of competitive KTM motorcycles at that time. In 1956, KTM started to strengthen its focus on offroad racing. 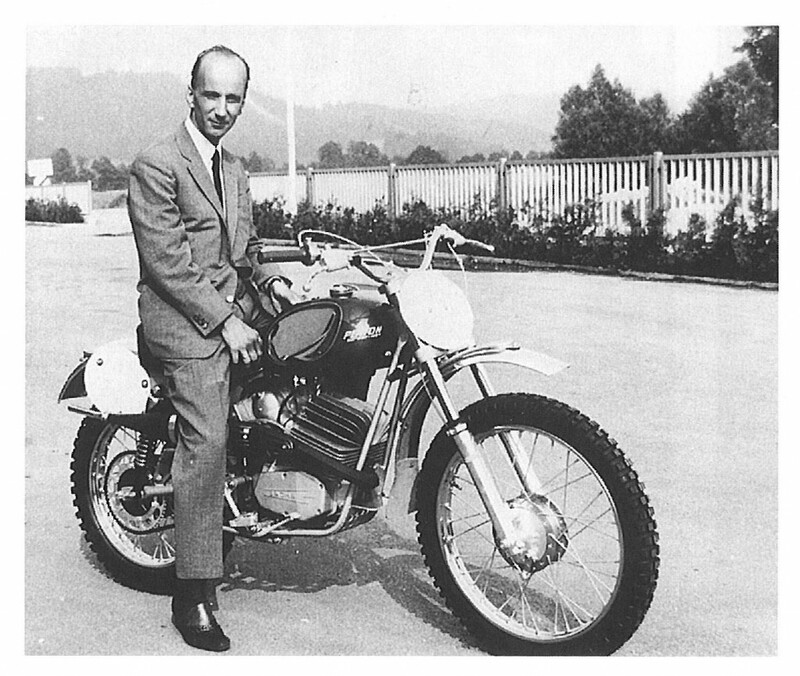 At the 31st International Six Days Trial (ISDT) from 17 to 22 September 1956 in Garmisch-Partenkirchen, today known as International Six Days Enduro (ISDE), KTM celebrated its first international success. In the class up to 125cc, Kurt Statzinger and Egon Dornauer won the first gold medals for KTM and on the new KTM 175cc bike Fridolin Muck and Helmut Schachner secured bronze medals. In 1957, when it came to problems at the production of the KTM scooter “Mecky”, the focus unavoidably shifted from racing to series production, what temporarily meant the end for the advancement of race bikes. 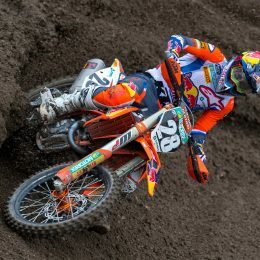 But KTM remained faithful to offroad racing and continued to participate in reliability rides. 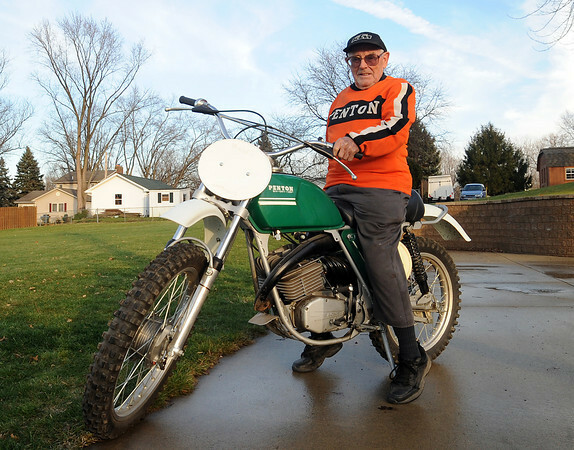 Some years later, the motorcycle dealer and enthusiastic offroad racer John Penton achieved sporting successes in the USA. Already at his first Six Days in Garmisch-Partenkirchen in 1962, he was fascinated by the small but powerful European motorcycles. In the US he was therefore not competing on a Harley or an English four-stroker, but on a lightweight NSU 175. Such a bike was missing on the American market and Penton started to search for a manufacturer that could and would carry out his plans of a lightweight motorcycle. After many years of experience in motorcycle industry and as one of the American ISDT pioneers Penton had clear ideas about the bike he wanted to sell in the USA. In 1967, the Polish town Zakopane was the venue for the Six Days event. On this occasion Penton met the KTM factory rider Siegfried Stuhlberger who invited him to the KTM factory in Mattighofen. After being rejected by another manufacturer, Penton presented his idea of a compact, powerful and high-quality offroad bike at KTM: a 100cc and 125cc bike that should be available as an enduro and motocross bike. With KTM boss Erich Trunkenpolz he fell on sympathetic ears. Trunkenpolz had already been thinking about the extension of KTM´s model range for quite some time. Since the project was anything but risk-free, Trunkenpolz and Penton came to a compromise: Penton should acquire a financial interest of 6,000 Dollar and in return KTM would build a prototype according to his demands. They met at the Salone of Milan, one of the leading motorcycle fairs, to choose the final attachment parts for the prototype. Only four months later, Penton could marvel at the first prototype. The GS version of the bike weighed only 103kg; the new 125cc five-speed Sachs engine with cast iron cylinder, that was also available with 100cc, provided best drive. While KTM´s competitors still rely on the antiquated and heavy Earles fork, for the Penton bikes KTM took advantage of a sturdy Ceriani fork with 35mm tube diameter and a 135mm range of spring as well as the adjustable rear Ceriani shocks. That was exactly the bike Penton had in mind. His enthusiasm was basically the go for the series production of this innovative offroad bike. Before the year´s end a prototype was carried to the USA and Penton came to Europe to make final decisions regarding the bike´s design. In spring 1968, six 100cc Penton prototypes arrived in the USA. 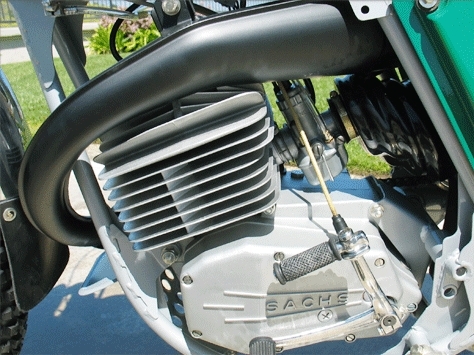 Shortly afterwards, basically without any tests, the prototypes competed at the Stone Mountain National Enduro in Georgia and during the race the Sachs engine stopped with technical problems. Without hesitation, new samples for enhanced production parts were manufactured at the Penton workshop. That led to additional work, because prior to the assembly in Mattighofen all Sachs engines needed to be equipped with the reworked parts. Right from the beginning, there was a great demand for the lightweight and favourable Penton bikes. More than 400 of the American-Austrian bikes were sold already in the first year. Almost 10 years later, when Penton passed the distribution of the bikes on to KTM, more than 25,000 motorcycles had been sold in the USA. Instead of plain model designations, Penton wanted to equip his bikes with catchy names. Following his suggestion, the 125cc bikes was named “Six Day”, as the ISDT was the only international enduro competition with championship character at that time, where the bikes had to be especially reliable and fast. 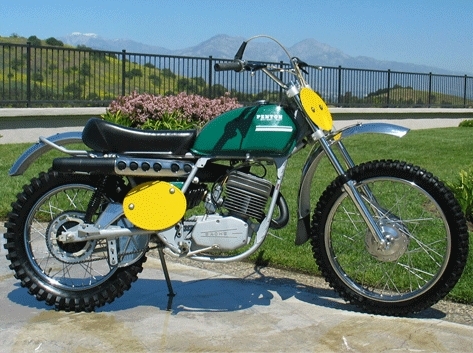 The 100cc bikes were dubbed “Berkshire”, called after a famous offroad event in Massachusetts. 1969 Penton ordered 1000 “Penton Six Day 125” for the US market. Besides the bikes for the US market, KTM produced bikes for the European market, that in contrast to the export models had the model designation GS 100/125 or MC 125. Other European manufacturers did not even nearly reach these quantities. Furthermore, KTM applied the in those days modern Ceriani forks and Oldani brakes. By the end of the year, the originally foreseen 1000 “Penton Six Day 125” models had already turned into 3000. 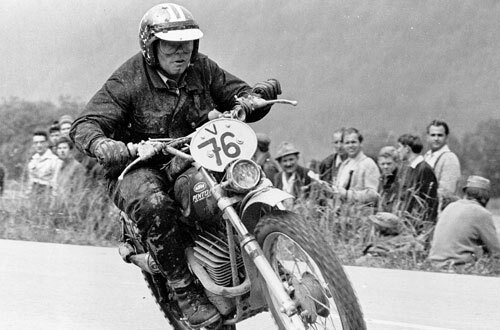 Approximately one year after the first talks in Mattighofen, several Penton-KTMs competed at the 1968s Six Days in the Italian town San Pellegrino. Part of the American Silver Vase team around John Penton, was his son Tom, Dave Mungenast and Leroy Winters. 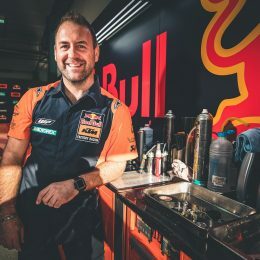 Erwin Lechner and KTM boss Trunkenpolz actively support the American team, what should make up for the missing technical know-how and knowledge of rules. Their assistance paid off: From overall 22 teams the American Silver Vase team finally managed to finish in 10th position! Immediately the Penton-KTM became not only the first choice in the USA, also European privateers banked on the American-Austrian cooperation. With this vital momentum Penton became the first KTM importer in the USA. 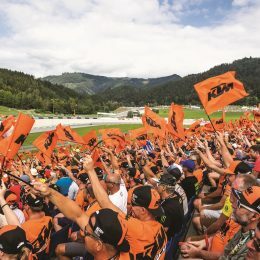 The cooperation with Penton was a lucky find for KTM: thanks to a successful model policy the Austrian brand could increase sales by 25%, even though the motorcycle market in Austria was flatlining. A decisive reason for this increase was the fact that Penton was successfully selling its motorcycles. The increase in sales was further promoted by the success of the American team at the 44th ISDT in Garmisch-Partenkirchen. The team around Penton gained incredible 38 victories at the offroad and motocross races in the 100cc and 125cc class. 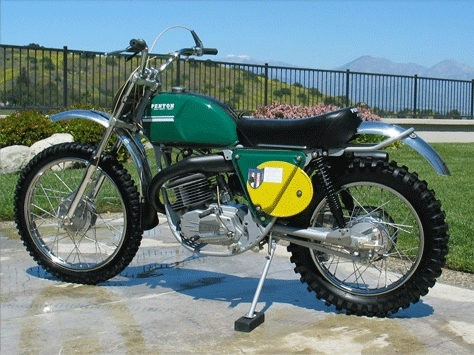 In 1970 the ISDT was held in the Spanish town El Escorial and the Penton team finished fifth in the Silver Vase rating what finally made Penton-KTM a competitive manufacturer of offroad motorcycles. Due to the excellent sales numbers in the USA, Penton wanted to add a 175cc model to the existing range, but neither KTM nor Sachs had available an appropriate engine for the “Jackpiner” model. 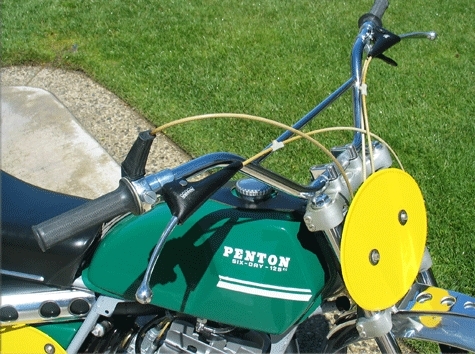 As a temporary solution, Penton equipped some of the models with a self-made 152cc cylinder in order to bridge time. Already in the early 1970s, KTM started the development of a 175cc sport engine which was presented already one year later in a newly developed chassis with double cradle frame made from chromium-molybdenum tube. This compound should also provide the basis for larger displacement bikes. At the end of the year, the self-made sport engine for Motocross and Enduro models was presented to the public and the series production started in autumn 1971. For a long time, the constructive elements of this ultramodern engine had been the basis of the KTM offroad bikes. In the following years, Penton was less and less involved in the development of new models. However Penton stickers could be found on KTM bikes in the USA up to 1977. Only in 1978, when the subsidiary “KTM America Inc.” was established in Lorain/Ohio and Penton passed the sales and distribution to KTM, the Penton sticker was replaced by the at that time white and blue KTM logo. Disgrace we didn’t catch up Baron! My associate and I live in Dorchester and got our 1290s last Dec, we could of given you a part to get your first 1290 km around our local area! !